Research America helps you and your marketing team develop better-informed, data-driven pricing strategies through price testing techniques, including price demand mapping. 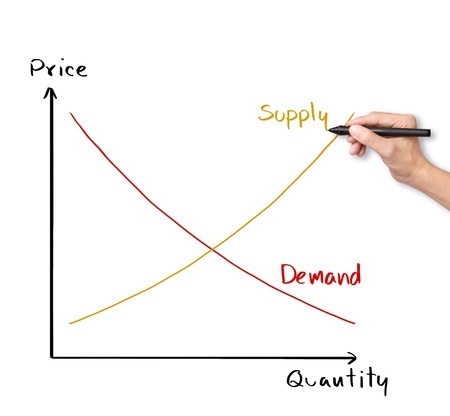 Through price testing techniques and price-demand mapping, our analytics experts investigate your target market’s willingness to buy across a series of increasing price points. - includes graphical output from several choice-modeling techniques. We also utilize other methods including the Van Westendorp Price Sensitivity Meter, which is a technique utilizing respondents’ answers to four questions on price expectations for a new product concept (i.e. a price considered too expensive, expensive, good value, too cheap) and displaying cumulative distributions for each of the four price questions. Research America analysts are experienced evaluators in price sensitivity. They take advantage of many methods to evaluate pricing, including conducting Discrete Choice and other forms of conjoint analysis studies. Our consultants will help you understand what drives your buyer’s purchasing decisions, and what pricing your target market can tolerate across a wide range of scenarios. We’ll guide you through the complex pricing challenges for your new products and services, and show you how different consumers trade off functionality against the price sticker. We’ll help you optimize your pricing strategy for whatever your goal may be: greater profits, or greater market share. In addition to plotting how much your buyers might pay for your product and service, we can also forecast what buyers perceive about any new idea’s value – its worth and related potential price tolerance. Concept testing pinpoints your potential product or service’s strengths and weaknesses, and can guide you in setting a price for your new offering. Research America price testing strategies help you build stronger marketing plans and make decisions about how to proceed with new ideas. Our expert team of analysts, each having extensive experience in strategic pricing, will help you develop a holistic picture of your product or service idea, and guide you through developing pricing based on your goals and your idea’s market value.